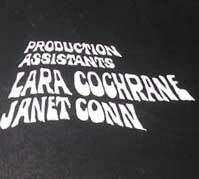 At right is one of the original caption cards used for the credits of Strange Paradise. Each of these caption cards was hard lettered by Marilyn Nixon, an employee of CJOH-TV and then wife of Strange Paradise Unit Manager Gerry Nixon. This is perhaps the only surviving example of a caption card. In perhaps the earliest mention of Strange Paradise in the Canadian newspapers, the Toronto Star of April 30, 1969 ran a brief mention of the show and another show called Famour Jury Trials, both of which had pilots commissioned. The article mentions that the Strange Paradise pilot wasset to begin filming the following week. 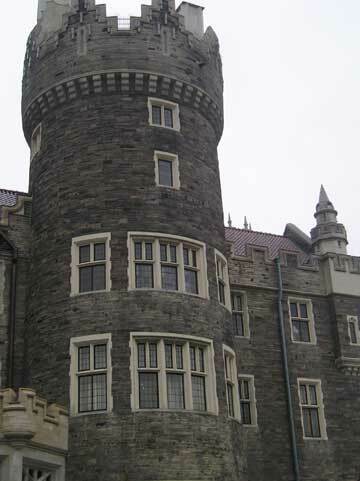 The pilot was actually filmed a few weeks later on May 17th and 18th. The article goes on to discuss that if either show was picked up by US TV, it could mean lots of work for Canadian actors. 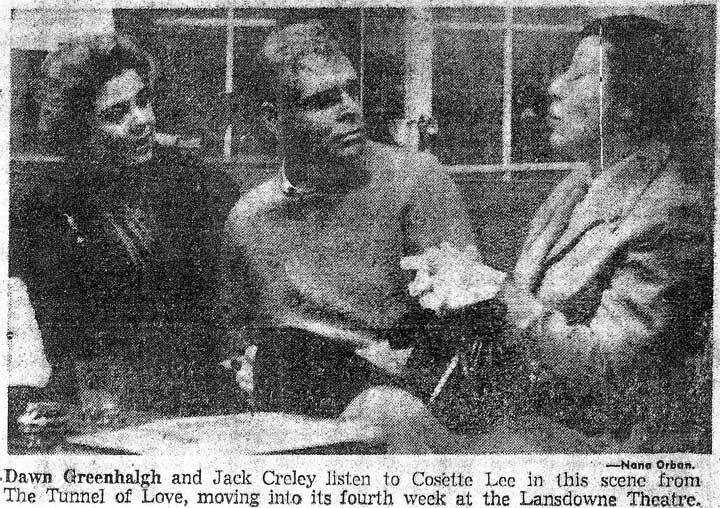 Initially, Strange Paradise was videotaped on blank tapes provided to Krantz Films by CJOH-TV in Ottawa, which Krantz compensated the station for. 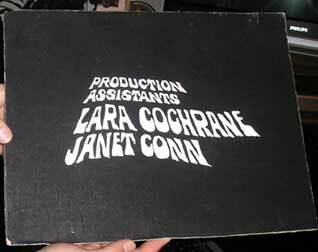 Once a co-production agreement was reached with the CBC, the CBC was to provide Krantz Films with blank videotapes which their copies would be dubbed onto. 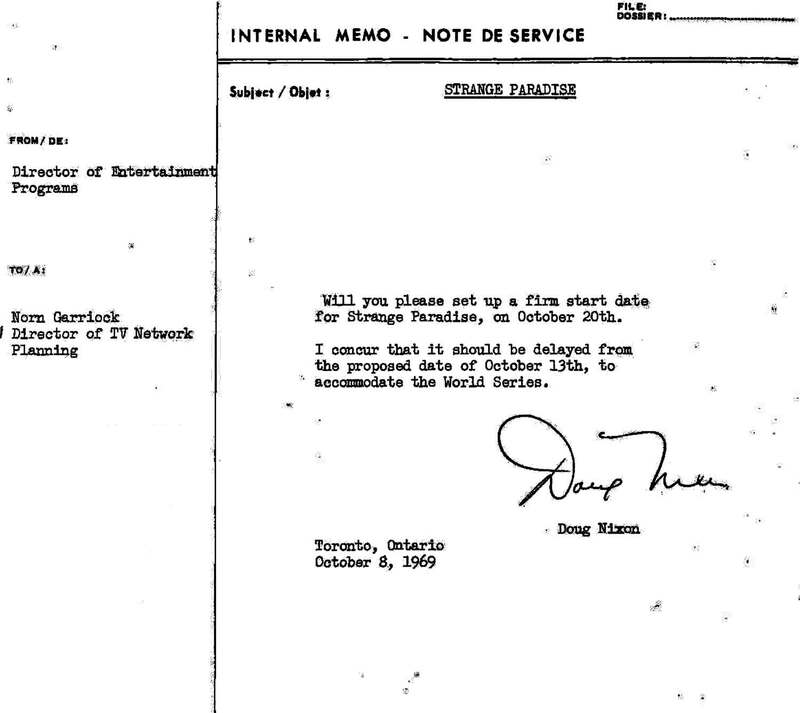 As the show had already produced about 25 episodes before the agreement was reached, the CBC initially agreed to send Krantz Films blank tapes to compensate for those already purchased by Krantz. This deal was later reworked, and the CBC simply used Krantz Films' copies of the early episodes and then returned them. 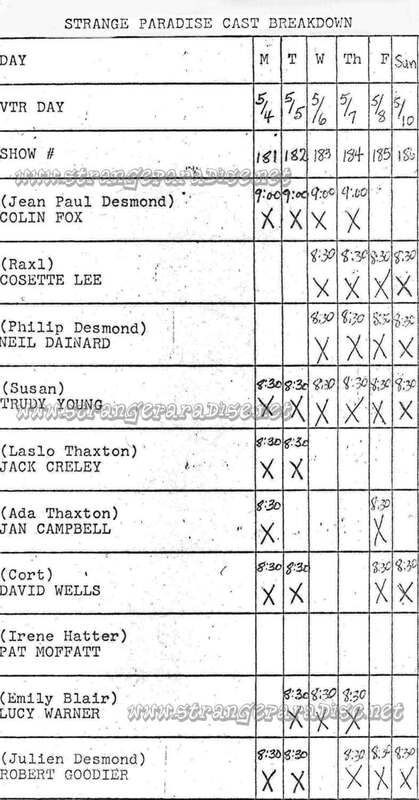 At right is a memo from Maxine Chrysler, Film Procurment Officer, to Hugh Edwards, VTR Scheduling Officer, requisitioning 30 blank videotapes for Krantz Films. 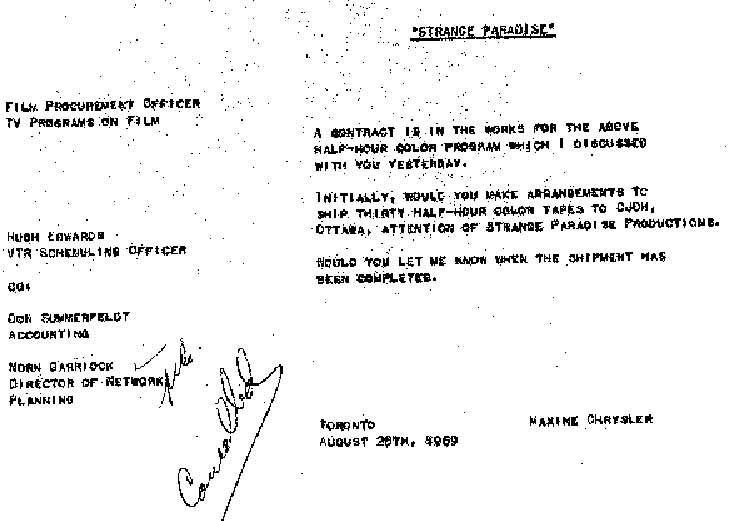 As can be seen on the memo, this requisition was later cancelled.